The biggest realization that comes with dental consultations that result in expensive treatments or therapies, is that most (if not all) of those conditions could have been avoided with proper dental hygiene and care. Taking measures to keep your mouth clean is essential for excellent dental health. Although most people take it for granted, oral hygiene and overall oral health determines more than just clean teeth, and in fact much more than just your mouth's health. Often times teeth can show nutritional deficiencies, infections, and even diseases. Additionally, a big percentage of Americans do not visit a dentist at least once a year. This comes from dental anxiety, fear of seeing a dentist, or neglect. It is common belief that a dentist should only be seen when there is pain or issues with their teeth, but in reality, seeing a dentist on a regular basis can contribute to a healthier life. Today, oral diagnosis and dental assessments can be done in a much less intrusive fashion and is less intimidating than ever. 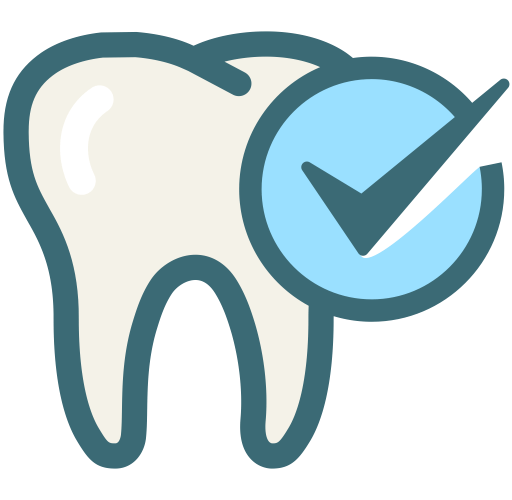 Technology advances and better equipment has made it possible to diagnose, treat and prevent oral issues faster, easier, and more affordably. The most common problems that people ignore are cavities and gum disease. I have good oral hygiene, how often should I see a dentist? Even if you believe you have excellent oral hygiene and routines, seeing a dentist once a year can still help spot other health factors such as infections, cavities (from bad diets), or other diseases. I use an electric toothbrush, should I also replace it every 3 months? Yes, a good indicator of when to change your brush is when you start to notice the bristles becoming visibly worn out or unraveled. Most electric toothbrushes use replaceable brush heads that you can purchase separately. How do I know if my teeth are unhealthy or just yellow? If you have a proper brushing routine and are already using a fluoride toothpaste, it's likely that the yellowing on your teeth is not just food staining, but other health issues such as malnutrition, infections, or tooth decaying. We recommend scheduling an appointment to further diagnose your condition. I am terrified of the dentist, what do I do? Dental anxiety is a very real thing. In fact, roughly 10% of Americans are terrified of visiting their dentist, be it for personal fears or for the fear of finding something they don't want to hear. At Plantation Dentist, we understand and take dental anxiety very seriously. We offer comforts such as blankets, pillows, comfortable chairs and music to help you cope with your anxiety. We never do anything you are not comfortable with and we have skilled staff that knows exactly how to deal with patients who are feeling scared, anxious, or uncomfortable. Any dentist will recommend switching to a toothpaste that contains fluoride as your first step to better oral health. If you are already using a fluoride toothpaste, you can choose gel or paste based on your preference. Flavors won't make much difference in how efficient your toothpaste is.